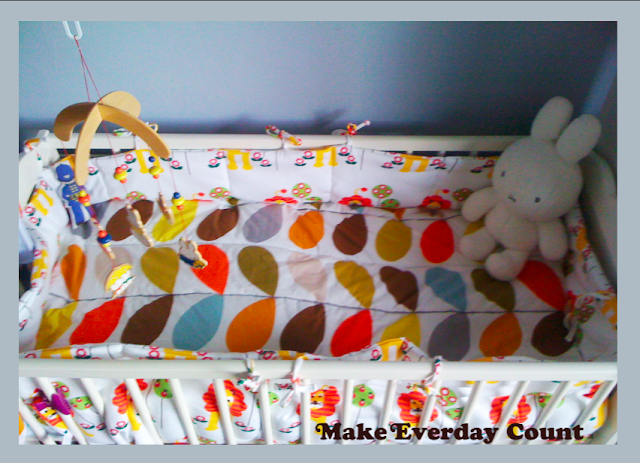 Make Every Day Count: Orla Kiely Baby Mattress Topper. BUT- he seems to sleep perfectly on my 'Pear print' Orla kiely bed sheets when I am in bed. 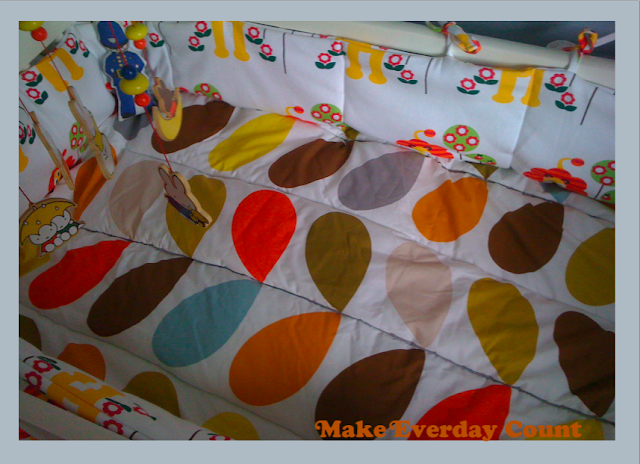 So, I decided to make him a Orla Kiely quilt topper out of the remements of fabric I had from making his Playmat. I inserted a piece of 2oz wadding in between the fabric, leaving a 8" gap (of just the fabric) round the sides so it could be firmly tucked round his mattress. To my shock, he actually slept a milion times better last night, he was only up 5 times apposed to the night before 23 times!!!! I think he takes after me, prefering good quality bedding, apposed to the stuff you get from baby stores. boring pale blue sheets were starting to irritate me some what. 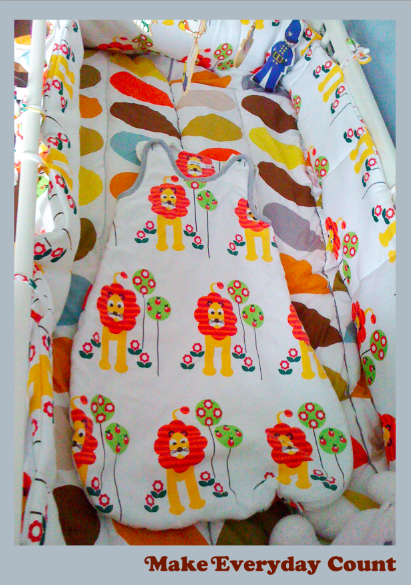 This topper specially make for child's to give them a comfortable sleep. The secondary importance is because of the naked body of the kids when they are born. 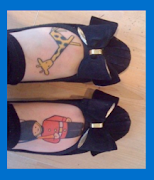 Kids are very touchy regarding their skin in the initial three or four years when they were born.